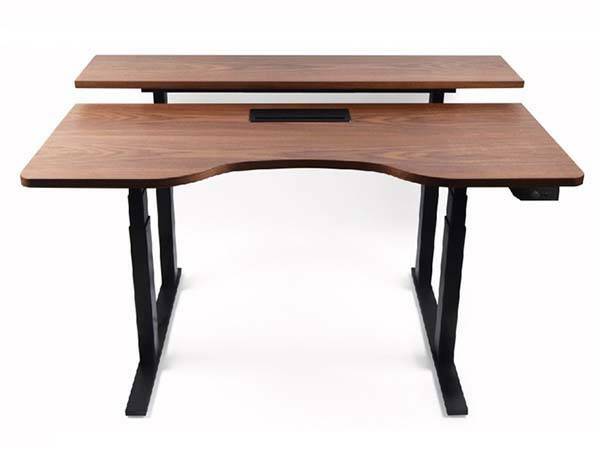 Just inputting your height and weight, Gaze smart standing desk automatically adjust its height to fit you, and its Duo model features two individually adjustable tiers for a more flexible working environment. The Gaze is a powerful, Bluetooth-enabled smart standing desk that measures 70 x 140 x 60-130 cm, and Gaze Duo measures 90 x 140 x 60-130 cm. 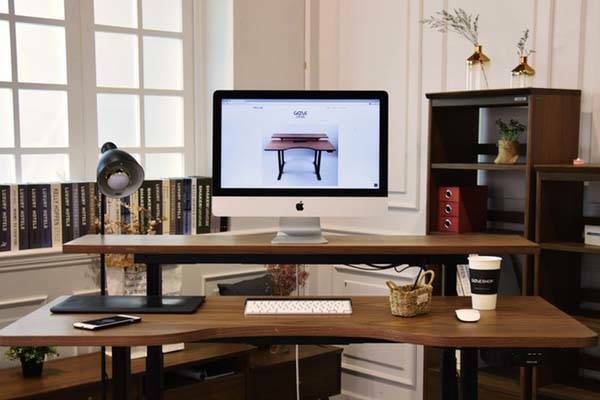 As we can see from the images, the standing desk shows off a minimal and sleek appearance, and its natural wooden desktop delivers gorgeous wood grain that complements to any interior style, while robust feet gives you a steady working environment. 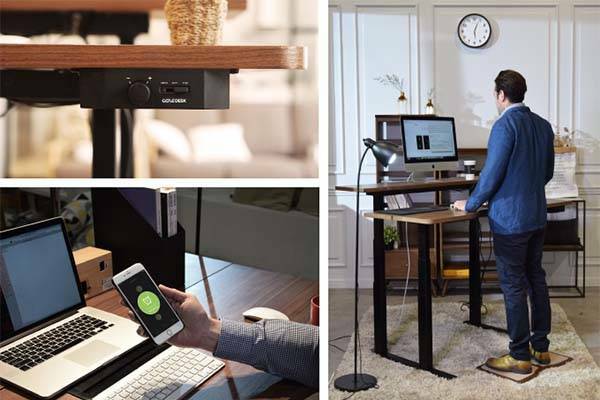 As a smart standing desk, the Gaze wirelessly connects with smartphone over Bluetooth. All you need to do is just input your height and weight in its custom app, the standing desk will automatically adjust into the perfect position. Of course, you can also adjust the desk’s height in two millimeters increments using the app by yourself. The Gaze Duo comes equipped with two individually adjustable tiers in order to match your eye level to your computer while your hands put a relaxed position, helping you create a health and comfortable sit-stand workstation. There is a built-in sensor in the standing desk, which tracks how often you stand. If you don’t stand up at least once every two hours, the Gaze will send a notification to your smartphone or smartwatch or automatically lift on its own. In addition, its companion app shows you your sit-standing patterns, calories burned during working and more, and it works with IFTTT, so you can create rules that allow the standing desk to interact with your other smart home devices such as smart light, smart coffee maker and more. The crowdfunding campaign for Gaze is ongoing on Kickstarter. You can pledge $499 or $899 to preorder the smart standing desk or its duo version. Both models will be shipped in November this year.